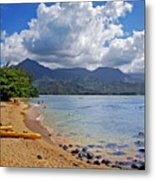 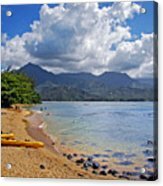 PLAY TIME IN PRINCEVILLE by Lynn Bauer - Taken on the Princeville Hotel Beach in Kauai, Hawaii. 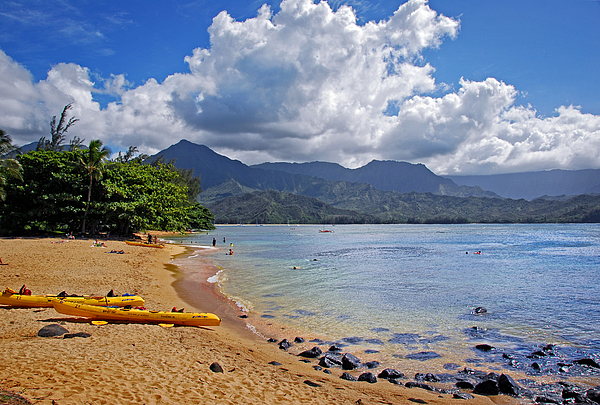 Two yellow kayaks sit abandoned on the beach while people play at the shoreline and in the water. 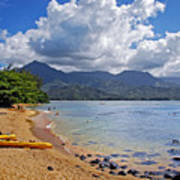 This beautiful beach is a great place for snorkeling and all kinds of play and exploration!